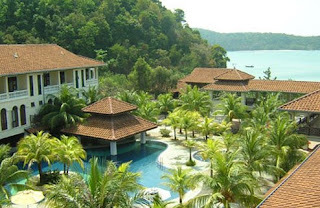 A 3 star property with 100 rooms and villas commanding panoramic views over the straits of Malacca. Secluded by a hill in its natural surroundings with water lapping onto the white sandy beach. Lanai Resort is located on a wonderful stretch of white sandy beach on Langkawi's west coast only minutes from the airport and about 20 mins from the main town of Kuah by car. Lanai Resort offers not only a great possition and great views from it's rooms and grounds, but has plenty on offer to entertain its guests to the maximum.